Personally, it doesn't get much better than that. One of my favorite snacks to make recently has been peanut butter balls. I make them a lot with the girls I nanny, because I can call them "cookies." These guys are way healthier than cookies, but the kids don't know that. So, ssshhh.....don't tell them! This is a pretty simple recipe. You can also add some powdered milk to make the balls hold together a little better when out of the fridge ... I just didn't have any on hand when I actually threw this recipe together. The secret ingredient to these little balls is in the peanut butter - The Bee's Knees from PB & Co. This peanut butter already has honey mixed in, so it's extra delicious! You could try making these balls with any type of nut butter, though - and I bet flavored nut butters (ie: chocolate peanut butter) would be delicious as well. These little power balls are great because you can put whatever you want in them - coconut, nuts, raisins, dried fruit, chocolate chips....or you could get a little crazy and throw in some candy, like M&Ms. Although then these wouldn't be power balls (power balls give you HEALTHY energy! )....they'd be more like cookies.... but that's okay too! Roll mixture into balls, using anywhere from 1 teaspoon to 1 tablespoon of dough, depending on how big you'd like them to be. 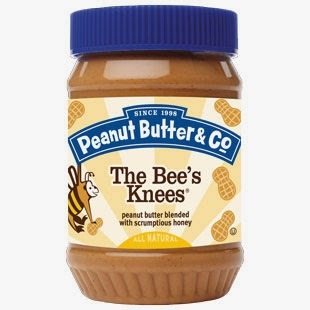 Oh, did I mention... we are also having a giveaway for two jars of the Bee's Knees peanut butter! I love this stuff. Wanna win? Here's how! Please leave a separate comment below for each entry. 1. Tweet about this giveaway, using the hashtag #peanutbutterbuzz and tagging @passingdaisies in the tweet. 3. 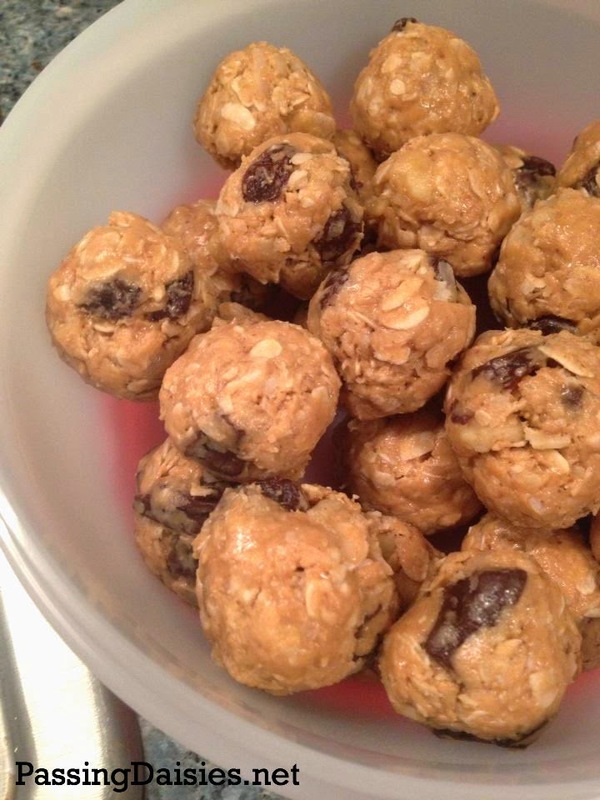 Tell me what mix-ins you would put in your peanut butter balls if you made this recipe. That's it! Giveaway ends May 19th at 8pm EST. Good luck to everyone! As a member of Peanut Butter & Co.'s Yum Squad, I received two free jars of peanut butter in exchange for this post. All opinions expressed are my own. I would try some chopped dates in the pb balls! I would mix in almonds, chocolate chips and dates! I'd try walnuts, cinnamon and raisins! I'd mix in oats, unsweetened shredded coconut, vanilla extract, and maybe cacao nibs! i would add in coconut flakes and almonds :) !! Dates and cranberries would be yummy! I would mix in white chocolate and pecans.